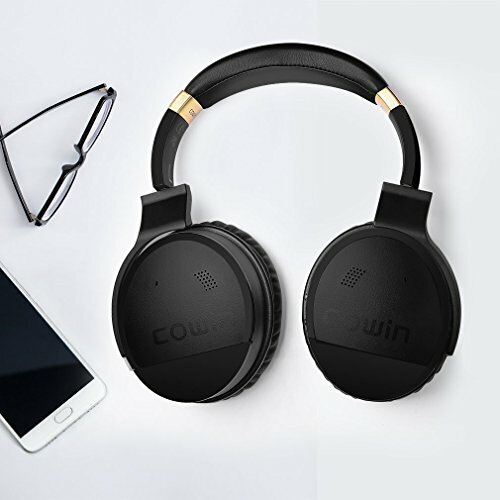 When we initially reviewed Cowin E7 last year, we thought that there is no better wireless-headphone with so many great capabilities under $100. Our readers were also impressed with its features and sound quality. However, a successor has arrived. Cowin E8 can promise nothing less than the best compared to its predecessor, and in this review, we will highlight all its features and capabilities. This review was written to cover everything that Cowin E8 comes with, including the features, design, and performance. Bluetooth setting of Cowin E8 has something to be sad about. 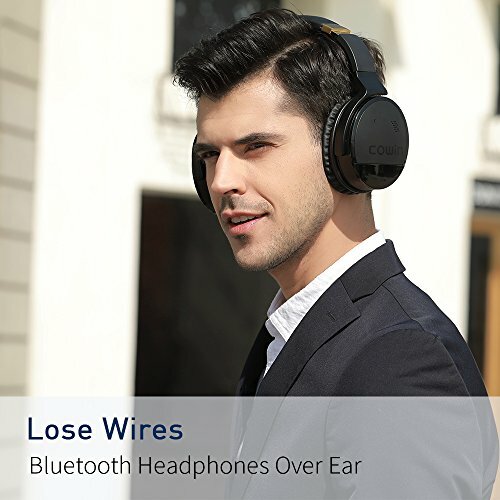 Even though it does its job, it’s clearly that Cowin focused on some other aspects of headphones, forgetting about the importance of staying up to date with Bluetooth versions. Cowin E8 sports Bluetooth version 4.0, and while it will do a great job in wirelessly taking you with your music, it misses on some important features that come with newer versions. That said, it misses the transmitters like aptX and other Bluetooth codec chips that come with version 4.1 and 4.2. The lack of those can sometimes result in music latency, if you are quite far from the source of music, thus far from the connection source. Nevertheless, it’s nice to see that the headphones sport Bluetooth, and yet produce outstanding music. The headphones are easily paired up with other devices by pressing the BT switch on the headphone. You will know it’s on when the LED flashes blue. You can easily search for your device, and once you restart the headphone, it will connect automatically. ANC is an essential part in most of wireless headphones. It comes with a set of inline microphones built into the headphones that direct the noise coming towards headphones outwards, reducing the noise in extremely noisy areas and eliminating it in moderately noisy areas. 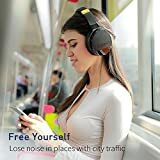 It is a perfect addition for busy streets, bus or plane trips, where we need to be distracted from noise while listening to music. As Cowin promises, the feature can be used in both cable and wireless mode. Battery capability is probably the best feature of Cowin E8 headphones. The battery can last up to 20 hours, which means it is ideal for longer trips, even with planes. They have a quick recharging time and so much juice is ideal, given the lackluster with older Bluetooth version. Cowin E8 is equipped with wonderful, needful features for every audiophile on the go. However, the older Bluetooth is kind of a lackluster, which is why we gave it 4 out of 5. Cowin E7 had a wonderful minimalistic design, that makes everyone fall in love with it. Its successor, E8 is no exception to that. Continue reading, to learn more about what E8 looks like, and how it feels on ears and head, once you put it on. When we use over-ear headphones, especially those a bit larger, we prefer checking its ergonomics so we know we can use them without getting exhausted. Headphones weight 1.38lbs (~650 grams) which is above average for this kind of headphones. Nevertheless, it still is an acceptable weight for headphones. Its dimensions are quite hefty at 6.65 x 3.7 x 8.07 inches, so you won’t be able to just pack them in the bag with you. Fortunately, the package has its own protection bag, so there is not much to worry about. We were previously ranting about older Bluetooth version, but the manufacturer definitely made it up to us with upgraded soft ear cushion. The ear cushions feel pillow-like and are made out of protein to ensure that our ears are comfortably covered and sweat-free. The cushions on headband are respectably convenient, although Cowin recommends taking headphones every once in a while, so our ears wouldn’t heat up or sweat during summer. Additionally, the earcups can rotate themselves to ensure a perfect fit for any type of head or ears. The headphones come with AUX port and cables that you can use if you no longer want to set yourself loose from all the wires. Also, there is a piano adapter and flight adapters that can also be used. The headphone will come packed up in a nice protective bag, that you can use to pack in your own bag or luggage if you are going to a trip. The headphones are nowhere near cheap for some’s budget so, it’s highly recommended to use the protective bag, even though they seem more than durable to us. We are satisfied with how Cowin handled the design for the E8. It looks firm and durably constructed while putting them on ensures us that they will fit to everyone’s ears and not exhaust us after hours of listening. It’s also good that there are various accessories so we can try different things on our headphones and store them in protective bags once we are done. We gave it 5 out of 5 for this section. When it comes to headphones, they can be equipped with various features, but it’s how they reproduce music from some source that decides whether they are good or not. We will review the sound quality of Cowin E8, as well as the Bluetooth performance and built-in microphone. 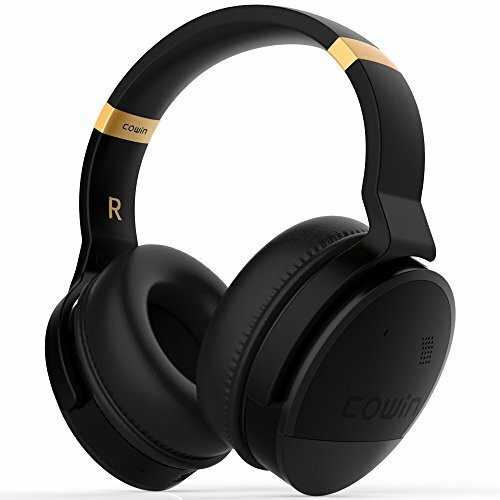 Cowin E7 had vibrant, detailed, and clear soundstage. This model sounds even better. Whether we want a loud and powerful sound and bass, or a crisp and quiet sound, Cowin E7 can deliver it to us much better than its predecessors. The headphones are ideal for any music genre and voice. When it comes to bass, it’s dynamic, trembling and most importantly – it’s free of any kind of harmonic distortion that someone could potentially head in the headphones. The midstage promises a lot, clear, precise and detailed sound, while trebles are crisp, clear and simply world-class. At this point, when it comes to the soundstage, Cowin could undoubtedly compete with some world-class manufacturers like AudioTechnica and Sennheiser. The lack of new technology for this model are noticeable as soon as you step a few feet away from the musical source. The coverage is large, and at this point, it can even penetrate through the walls with the connection. Still, as far as you get in the 33 feet (10 meters) range, you will feel that something is off. Your music won’t sound the same, it will feel distorted and robotic, as much as ½ seconds late, which is too much to afford when you just decided to go get some snack while the music is playing in the living room. CSR and AptX codecs or chips fix these problems and improve the sound quality, which is not the case with Cowin E8. Nevertheless, the performance is quite strong still, and music won’t feel as distorted, if you don’t go far away. The E8 is equipped with inline microphones for Active Noise Cancellation, but also with a microphone that enables you to make calls and answer them, absolutely hands-free, which is a positive trait of the shamed Bluetooth capability. Making calls and answering them has never been easier, while you will sound perfectly clear to the other person of the line. Next to the microphone, user can be greeted with controls that are used for turning the volume up or down, or choosing the next song from the list, or repeating it. Great performance is ruined by the Bluetooth. Nevertheless, 4 out of 5 is still a decent grade for a wireless headphone with the performance of such great caliber. The price of Cowin E8 is quite hefty at the $149.99. Cowin E7 hasn’t really crossed the $100 milestone, and moreover, it was always on various discounts that made it available to everyone. Perhaps, that was too many discounts to build the much better Cowin E8, 3 out of 5. 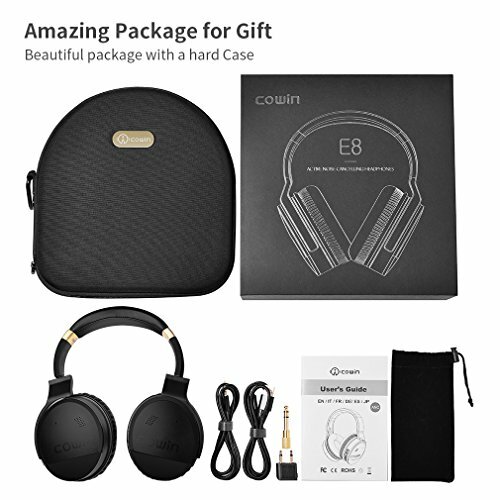 If you really want to enjoy the world-class music, but don’t want to pay so much, Cowin E7 still does a great job when it comes to being rich in features, offering a stable connection, and even better battery. Cowin E8 is the successor to the E7 with a lot to offer, but with not so much to improve. While its great battery life, active noise cancellation and absolutely breathtaking soundstage flatter to it, the hefty price tag and older Bluetooth version may not appeal to you.